It’s been a busy year for Hike, with more and more retailers choosing us as their preferred Point of Sale. Since we introduced Hike 3.0 in May, we’ve listened to all your feedback and are now excited to share with you the newest improvements in Hike. We’ve made it easier for you to switch between locations if you’re using Hike for more than one outlet. A new dropdown box will enable you to switch between locations to view the latest reports and analytics for each. You can also set staff permissions whereby a manager for one store only has access to that store. This manager won’t be able to access the cash register for any other store. Based on feedback from you, we’ve implemented product locking, so that you’ll never sell a product that under stocktake. From now on, when you lock a product, you or your staff will not be able to sell that product until the counting has been completed. If someone tries to sell a locked product, Hike will put up a Locked Error Message and he/she will be unable to add that product to the shopping cart. Save valuable time by being able to create products directly in the product type page. 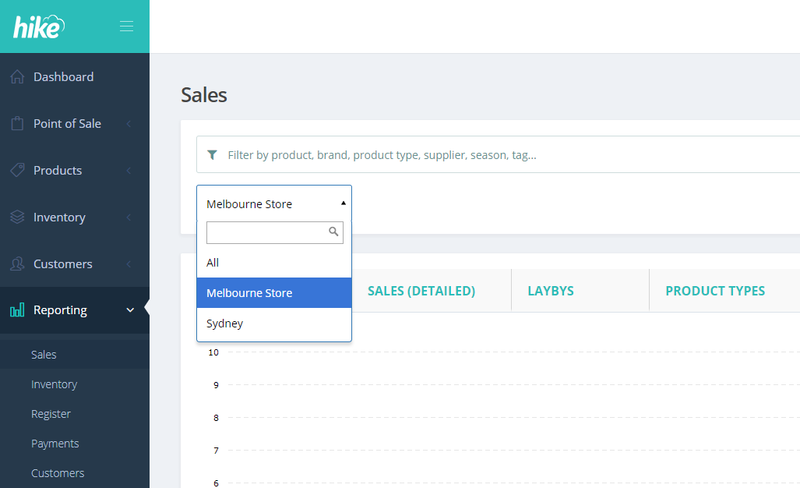 Add a product type and link associated products by whatever category you need. 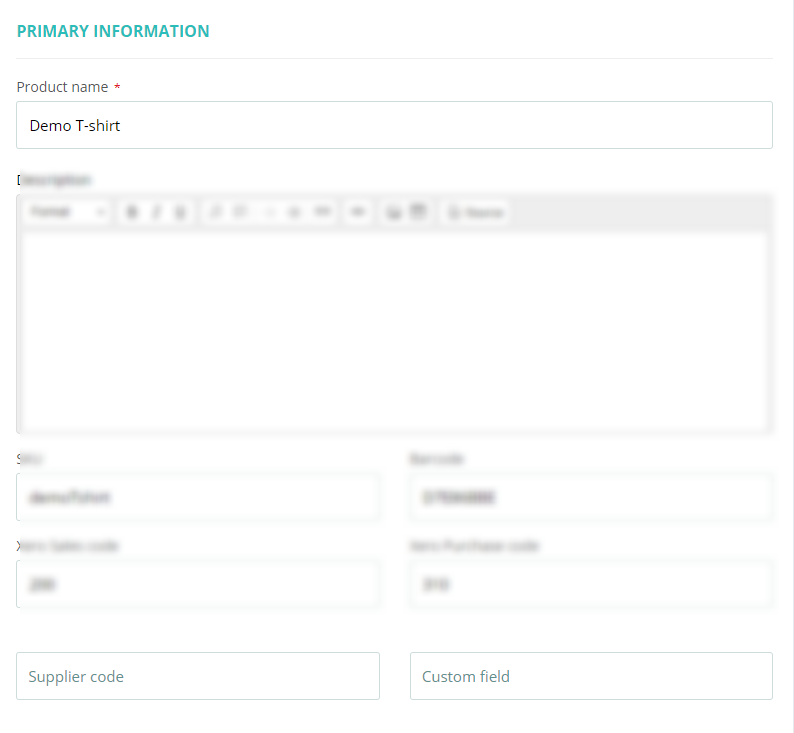 You can now enter in two new fields when creating a product: Supplier Code & Custom Field. Track your products via supplier and/or label your products through your own in-house reference codes via the custom field. To increase security, only administrators of Hike POS will be able to view credit and gift card numbers. The last 3 digits on card numbers will be hidden, to protect customers from theft and fraud. Filter your sales history by customer, register, sale reference number (#), or barcode to search and select individual transactions. If you own multiple outlets in different locations, you can now have each of those stores connected to multiple eCommerce sites and accounting platforms. Perfect for franchise owners that want to be able to easily distinguish the reporting of each individual store, to find out which one is performing best. Hike now supports Traditional Chinese as a language for its POS solution. You can now add the company name of a customer into the customer list display. 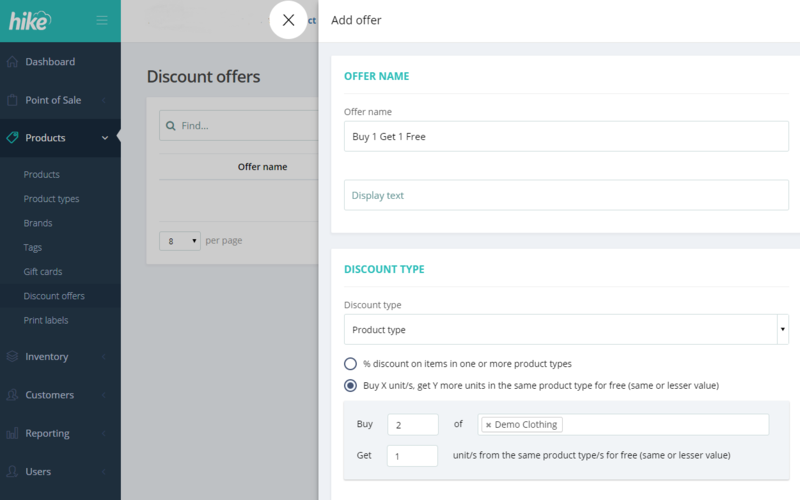 In giving users (and customers) a more robust discount offering, Hike now gives you an option to set buy one get one free discount codes for your products. Set the parameters to how you see fit and reward your customers. Print out jewellery labels for your smaller items, that can be attached to your products. Make it easier for your staff by printing these labels, so that they can scan the barcodes instead of having to search for the product when making a sale. Increase or reduce the size of your store’s logo, as they appear on your receipts and invoices. Hike now offers a responsive template, which means if you’re printing invoices on A4 paper, Hike will now readjust its printing to ensure that it appears in true A4 format. The font size and spacing will all be designed to fit the paper size. If any of your products are being sold with discounts, you now have the option to show or hide the discount total on your receipts. Any notes that you place on your CICO withdrawals/deposits will now appear in your end of day, cash register invoice. Know the reasons behind why petty cash is being taken in and out of your business. You can now change your printer label settings to show prices inclusive of tax prices or exclusive. This can be done in the General Settings of Hike. You can now enter notes on parked orders such as the customer’s name or an order reference number. This makes it easier for you to find that parked order, once the sale transaction is finalised. Instead of clicking on multiple pages to view your products in the sales screen, you’ll now be able to infinitely scroll down on the one page to select your items. View your entire product catalogue in a faster, more streamlined way. Our new support icon makes it easier for you to find the help you want. Whether you want to chat with one of our live support technicians, visit our extensive support guides or watch video tutorials on Hike, you can now do so with just a click of the button, anytime. When adding a product to your card, new Fade In & Fade Out animations will appear, making it easier for your cashier to know when a product has been added or removed. We now have an improved user interface for managing user permissions. Pop-ups in the UI are now reflected as a single tree. Hike’s performance upgrades have made viewing your sales history, a much faster process. Bulk importing now takes drastically less time, when bringing across copious amounts of data. Viewing your real-time retail reports will take no time at all, as Hike has been streamlined exponentially to give you the fastest POS. Not only will your products look better on Hike but your product images will now also appear in your cart as well.